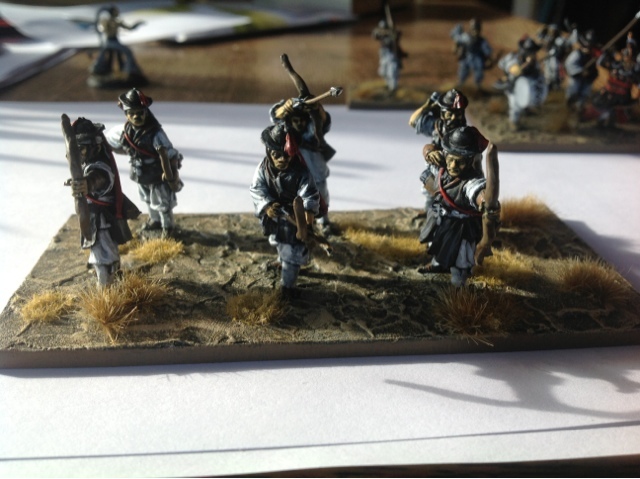 Three bases done now with my fourth painted and just awaiting basing. 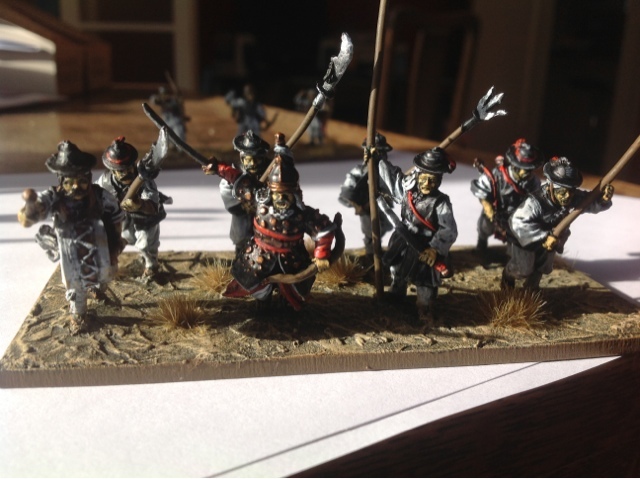 I have one more base of irregular spearman like below to go then I am doing a unit of twin swordsman which should be a nice break. 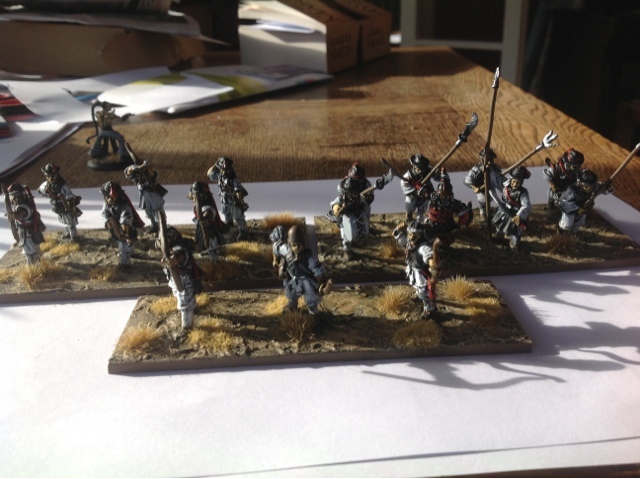 After that I have some armoured archers and spearmen and that is the end of my foot units. Have a grand scheme for my baggage element a clue to it is in the background of one of the photos below. Looking good Craig - love those models and the unified paint scheme is great.